Charlie (WAG) Papworth. Charlie was born on 7th August 1915 at Hatfield in Hertfordshire, where he grew up and became a bricklayer before joining the army prior to the outbreak of World War II. 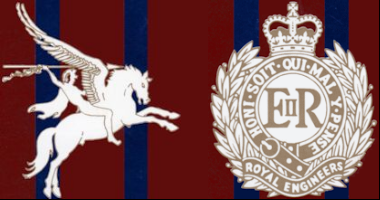 He was a member of the Corps of Royal Engineers at the outbreak of war and was aboard the last boat out of Dunkirk (Osbournes' cockle boat from Leigh on Sea in Essex). His late departure from Dunkirk was due to his tasks of destroying bridges and cratering roads in an effort to delay the German advance. On his return to the UK, his bricklaying skills were put to use in the tunnels under Dover castle, converting some, using white glazed bricks, into hospital wards. On learning of the intention to form a Parachute Brigade, Charlie immediately volunteered and was one of the founder members of 1st Para Sqn RE. 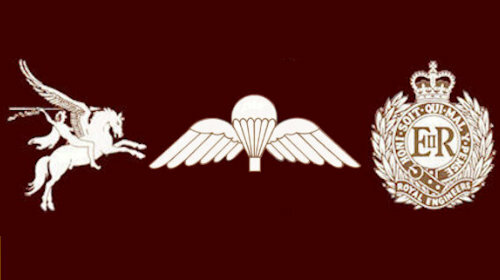 It was with much pride that he wore the initial round para badge to airborne reunions, instead of the winged badge that was issued at a later date He took part in all of the 1st Para Sqns campaigns. which of course included Arnhem. Charlie was with Col Frost and Capt MacKay in the schoolhouse overlooking the northern end of the Arnhem bridge. When forced to surrender, he was carried out wounded and transported to one of the POW prisons. Although managing to escape on more than one occasion, his wounds prevented him from reaching freedom. His last camp was situated next to a Jewish extermination camp, the sight and sounds of which he never forgot. On his return to civilian life, he joined London transport employed as a driver for 36 years. On retirement he moved to Birmingham and whenever possible attended reunions and get togethers where he could once again wear his beloved red beret. Charlie survived two wives, but leaves behind one son and two grandchildren.